I hope you are having a good day and that you are not feeling too overwhelmed. In the last couple of weeks the energy has been so intense but since the full mon a couple of days ago I am starting to feel really calm and blissed out. I’m enjoying the last weeks of summer and that feels good. I love fall so September is going to be great. As you probably know I’m being really focused on preparing my upcoming retreats in Australia and I’m doing as many readings and as much coaching as I can until I go. Then I’ll enjoy a while month off and that feels glorious! I’m taking my family with me to Australia and my son and I have been getting excited about dolphins, whales and beautiful crystals. Hello Australia, here we come! I hope that my trip will inspire you to go for your own Big Dream. Some dreams take longer to reach but it’s always one step at a time that we get close to them. What is one step you can take today to get closer to you Big Dream? Just so you know I sometimes feel really great and confident about this trip and at other times I has big fears coming up. I think that’s part of the journey and I try to embrace it all. Even the difficult parts. So, today I have two great things to share. First of all I want to announce the winners in my big give-away. Thank you to everyone who particicpated! You really touched me and I feel so supported. Congratulations! E-mail me at [email protected] to receive your gifts. The second thing I have to share is another video interview. I am having such a great time chatting with amazing women from all over the world and I hope you are enjoying it too! Today I have the great pleasure to present the amazing Intuitive Child Whisperer Megan Koufos. In this video Megan shares her journey into and out of post natal depression and also how she plays intuitive games with here children. And you can use this game too! If you like this interview please share it with your friends! 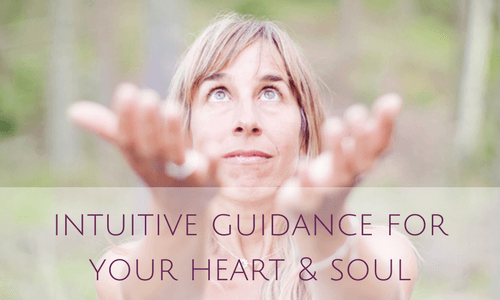 Megan is an Intuitive Child Whisperer who helps to connect mothers with their children’s souls through all stages of life – before being born, beyond birth to toddlerhood, and where children have transitioned back to the spirit world. She is also a certified angel intuitive among other things, crystal healing junkie, wife, mama to 3 gorgeous Earth angels, lover of all things woo woo and magical, and guide to hundreds of mamas who receive her free ezine each week. Enjoy this video and I would love to know what you think. Have a beautiful weekend and take good care of yourself!